Industrial premises, including warehouses and factories, require heating and ventilation systems to be fully effective in operation 24/7 to maintain a comfortable and constant temperature for workers to perform at their best. 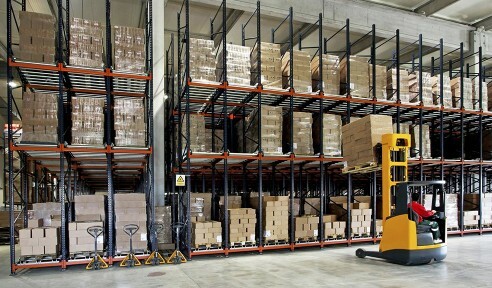 Similarly, for warehouses containing sensitive goods or cold storage facilities, it is crucial that a refrigerated or air-conditioned environment is maintained. A cold store will require constant running of the refrigeration plant to avoid potentially high value products becoming perishable. Sarum has been successfully designing, building and supplying controllers for heating, ventilation, air conditioning and refrigeration systems for over two decades. Our experience of designing and manufacturing bespoke controllers encompassing a wide range and age of equipment has provided us with a reputation for reliable systems that integrate and work as specified to suit individual environments in which they are installed. Alternatively, our range of standard controllers contains options suitable for many application. For more information about Sarum and how we can help with your project, simply fill in your contact details on the enquiry form on this page and a Sarum representative will make contact with you.